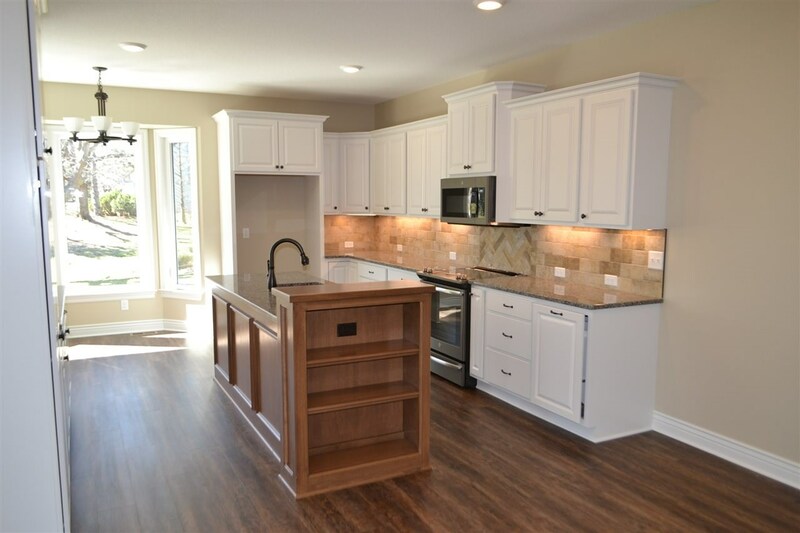 Spectacular new patio home in Reflection Ridge within walking distance of the Clubhouse! 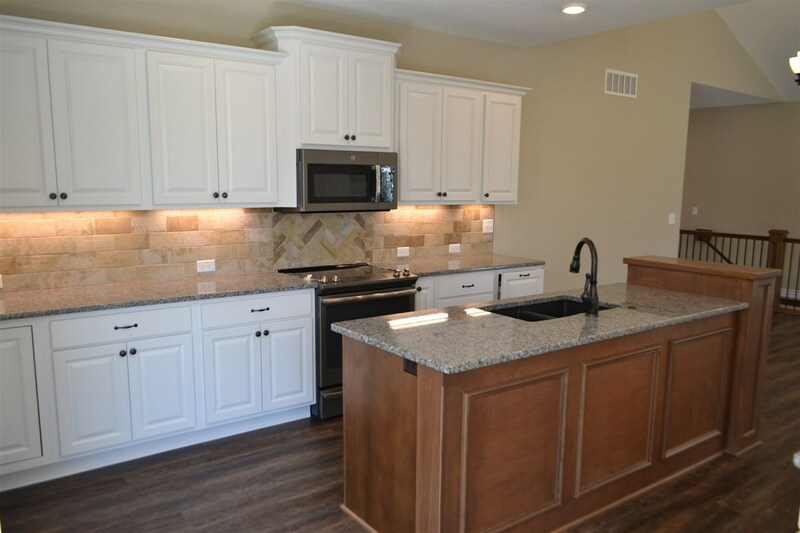 A chance to own a new patio home with all the new features in a mature treed golf course neighborhood without specials! 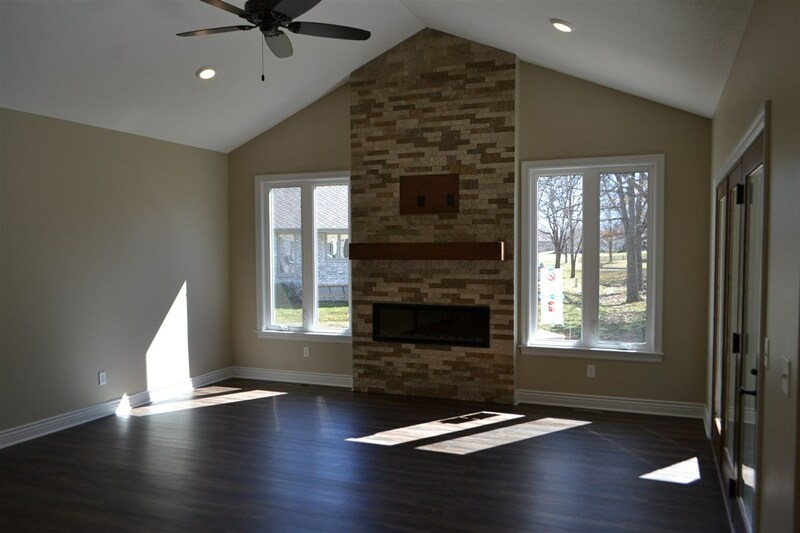 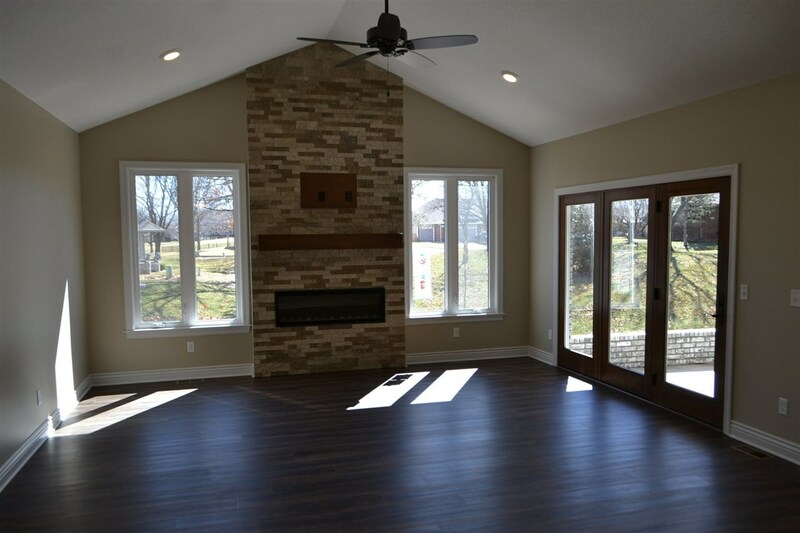 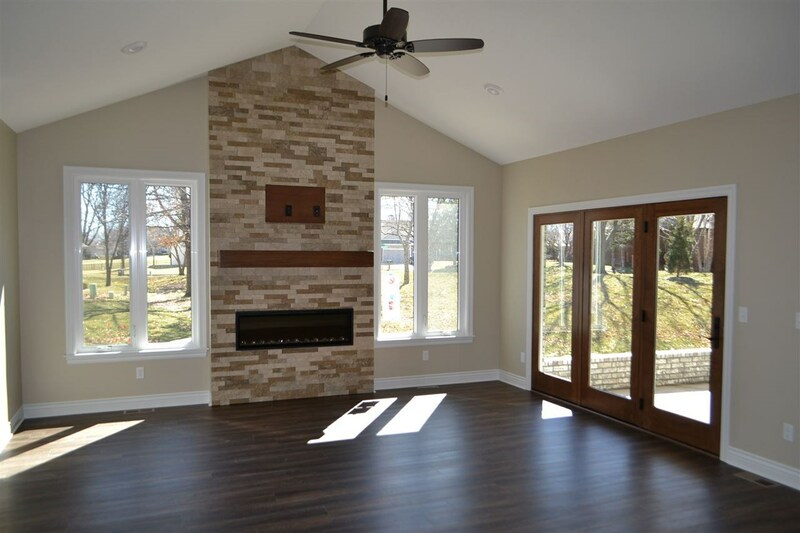 Sharp open floor plan with a huge living – formal dining room combo with vaulted ceiling, designer electric fireplace and triple Atrium doors to covered deck! 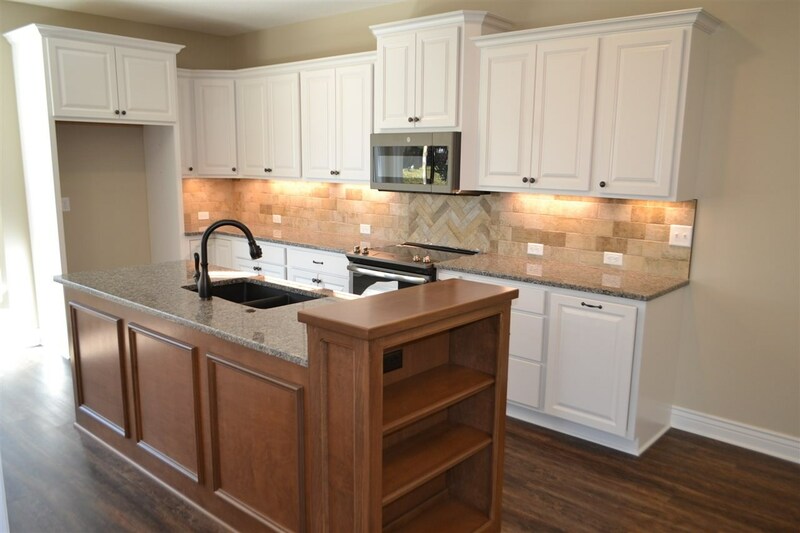 Huge island kitchen with an abundance of whitewood cabinetry, granite tops, lazy susan, pantry and fantastic double bay breakfast room overlooking the treed common areas behind home! 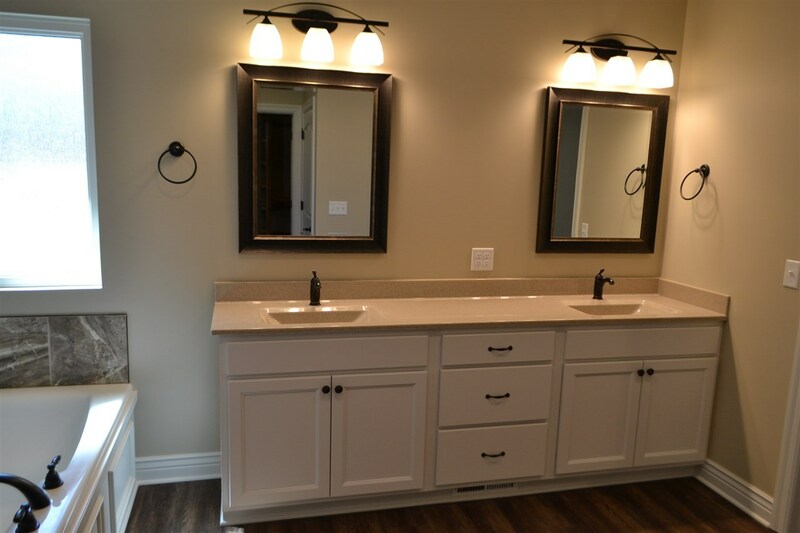 Incredible master bedroom with his and her walk-in closets & a huge bath with large double vanities with Onyx tops, Jacuzzi tub and an Onyx walk-in shower! 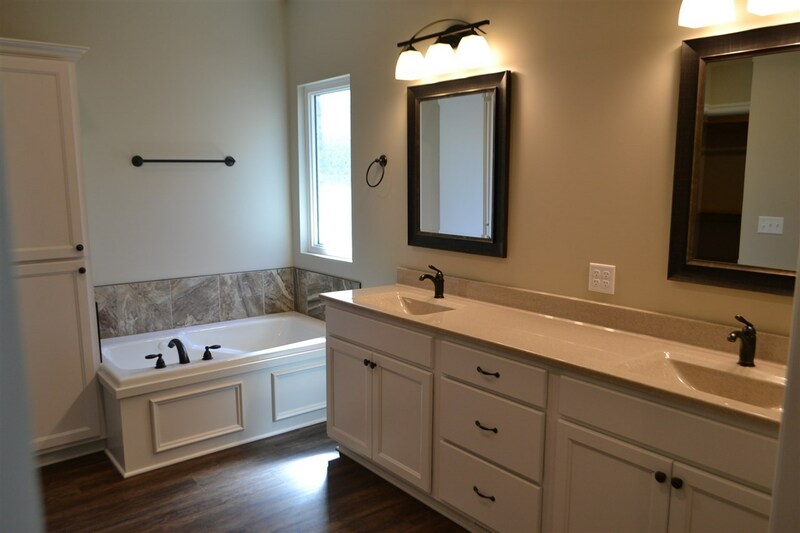 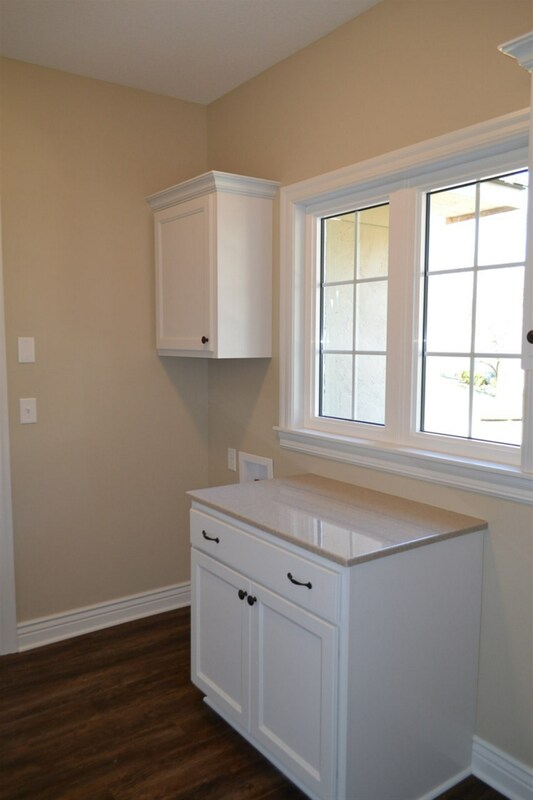 Great main floor laundry room with cabinetry and Onyx folding table! 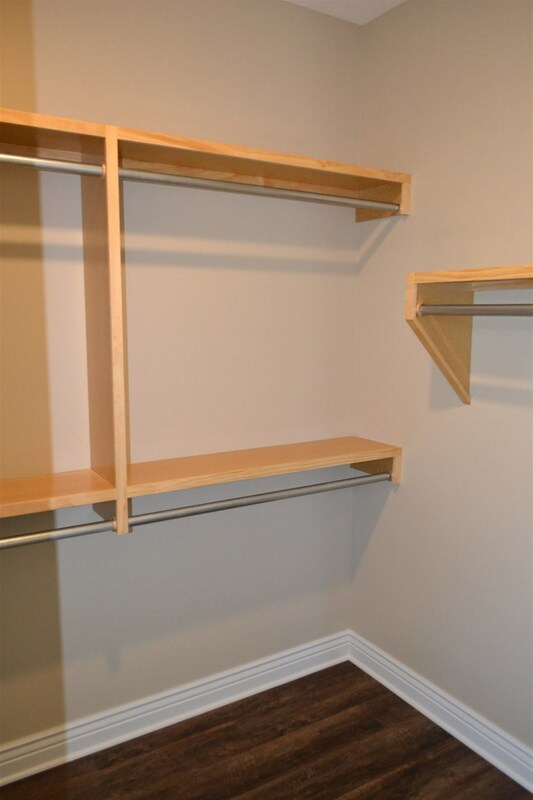 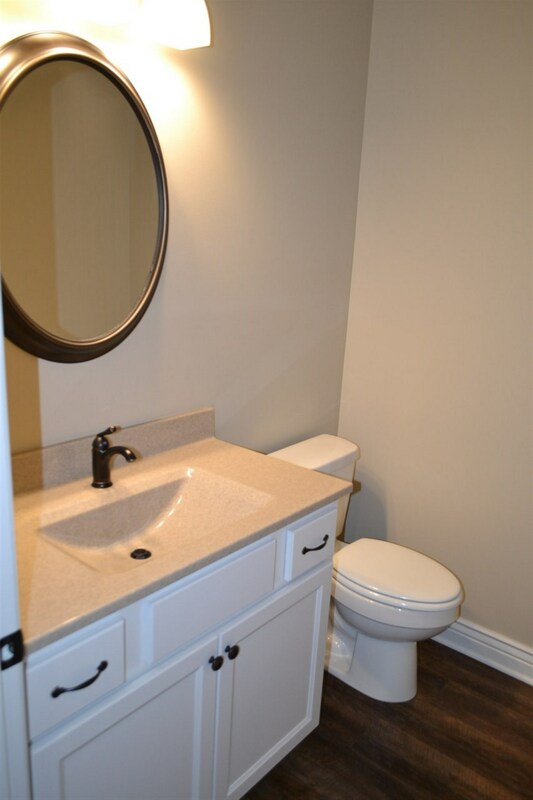 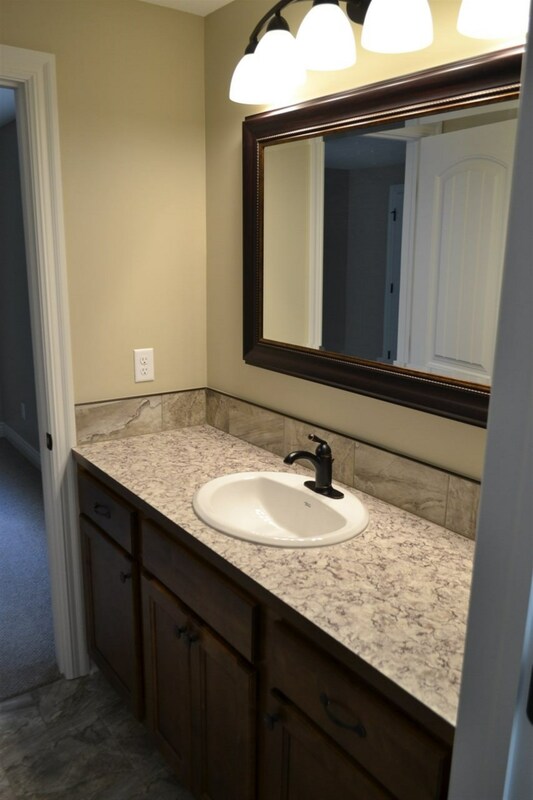 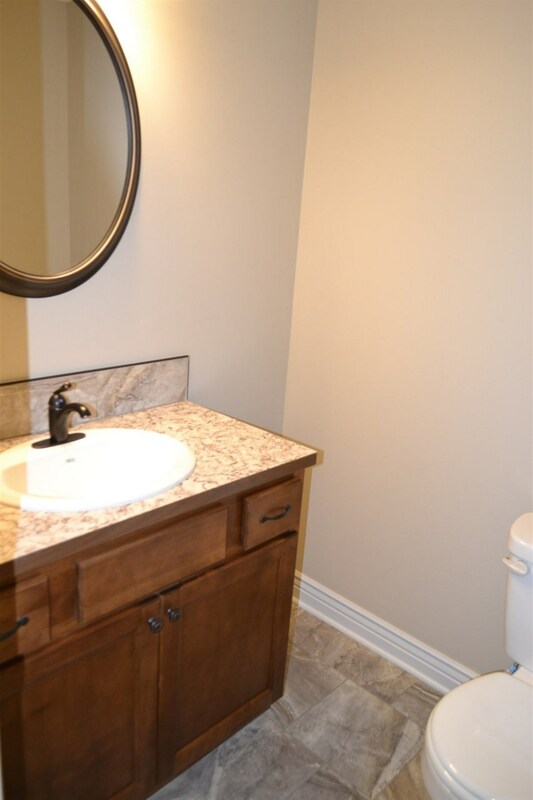 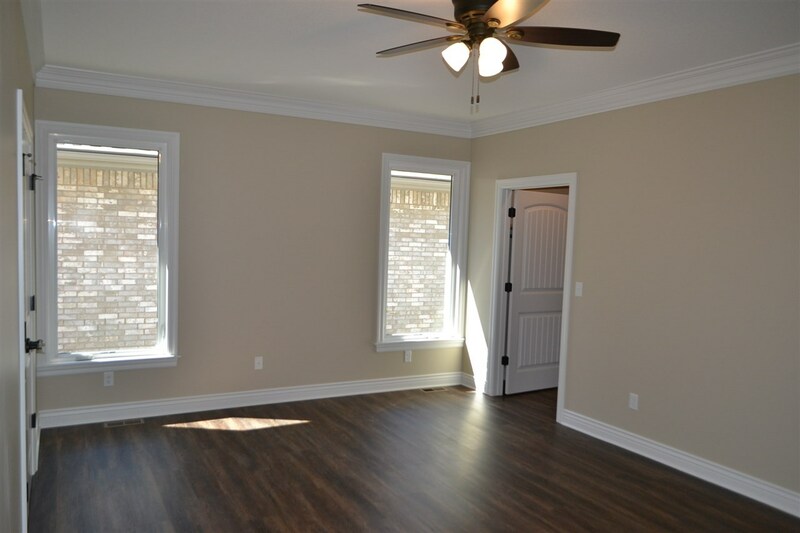 Large guest half bath off entryway! 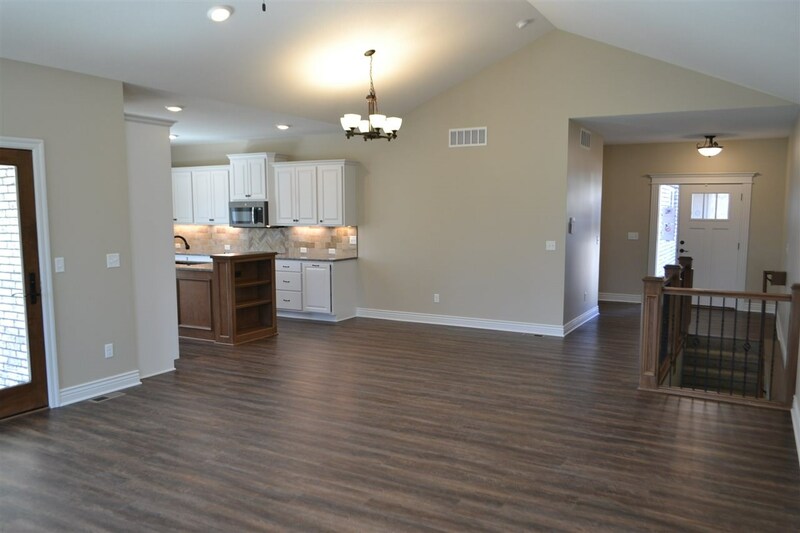 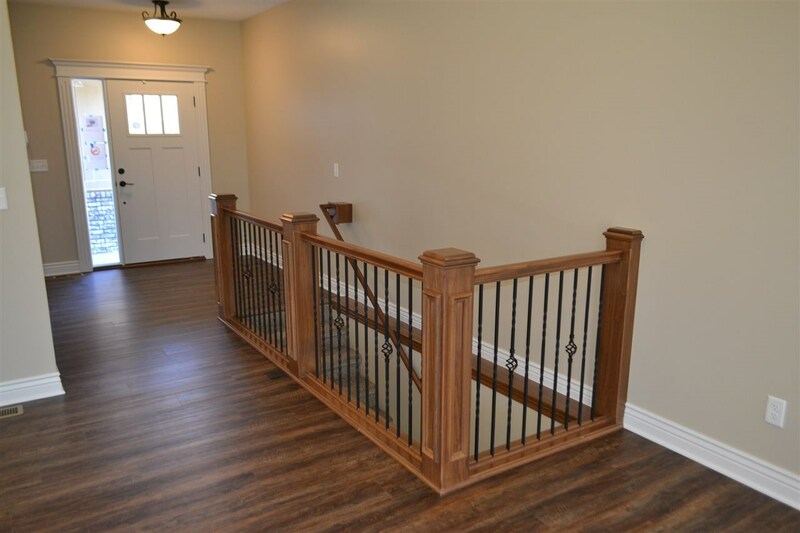 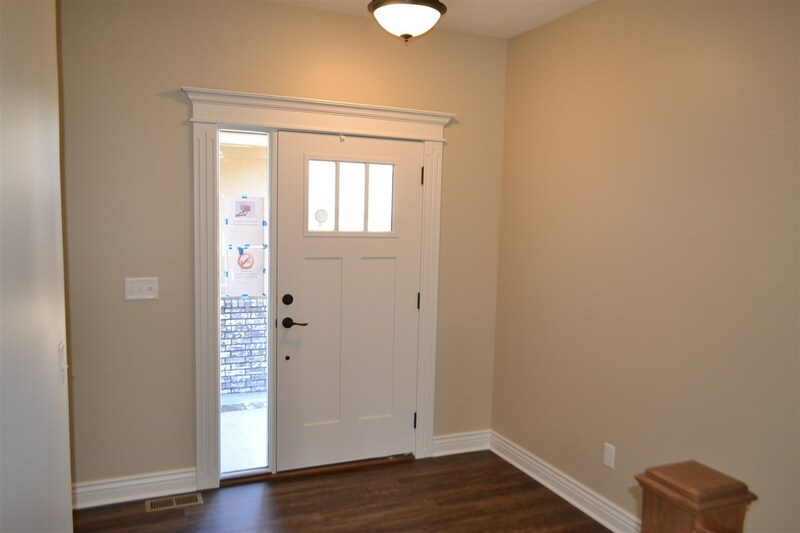 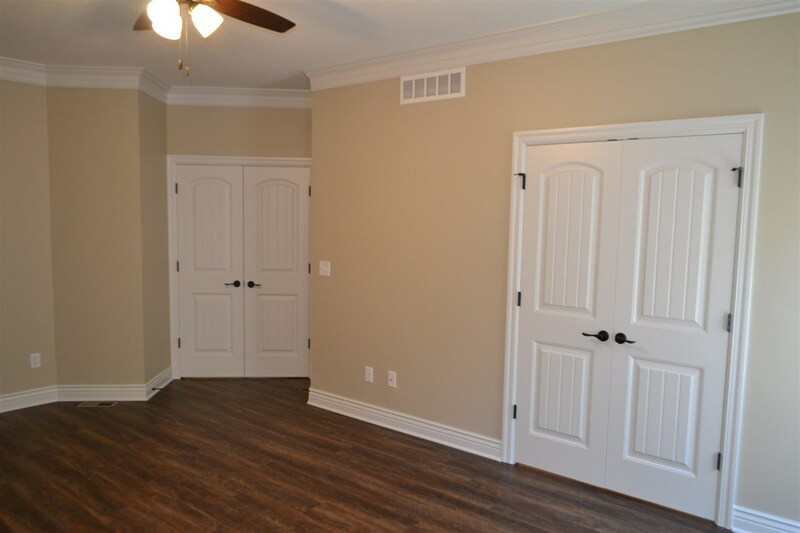 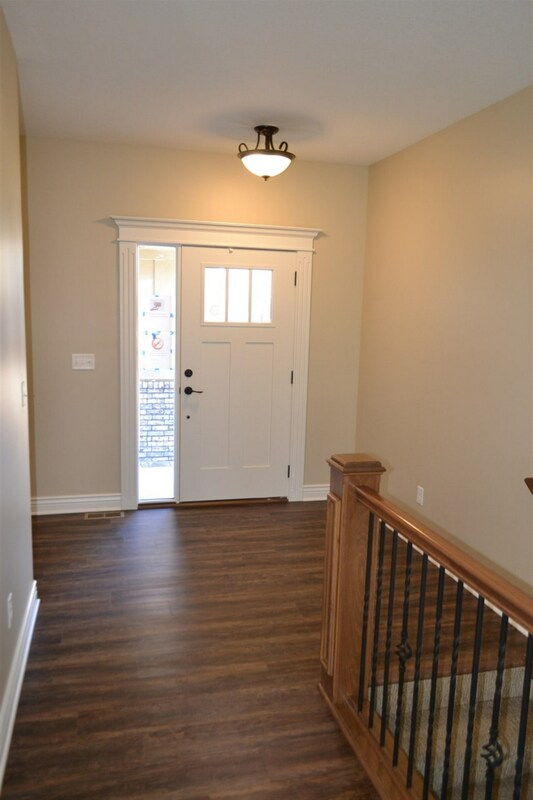 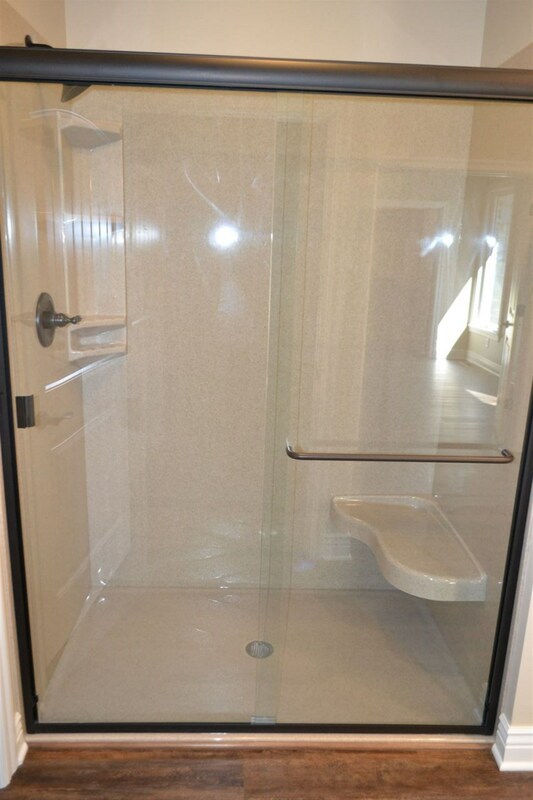 Main floor will have Luxury Vinyl Plank flooring throughout for ease of cleaning and all doorways throughout home extra wide for wheel chair access! 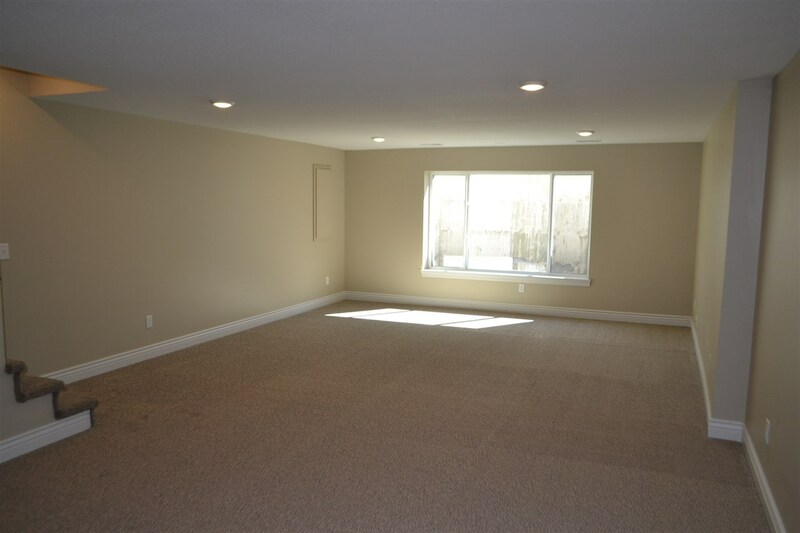 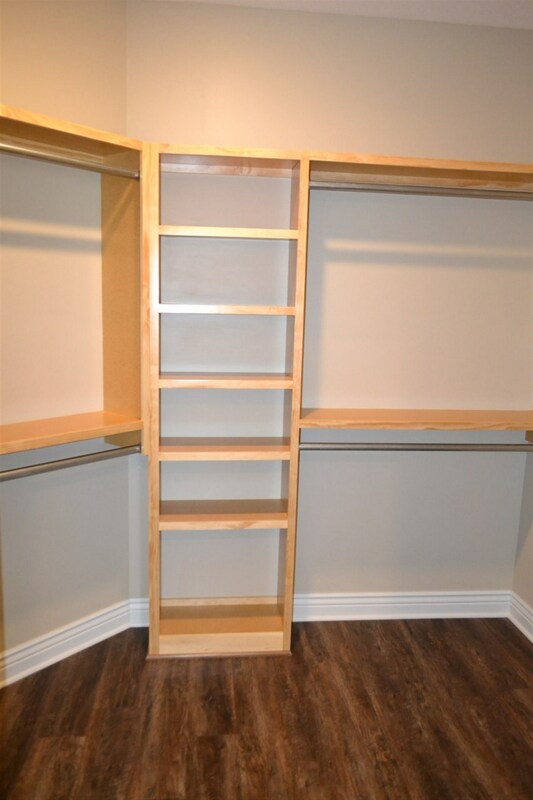 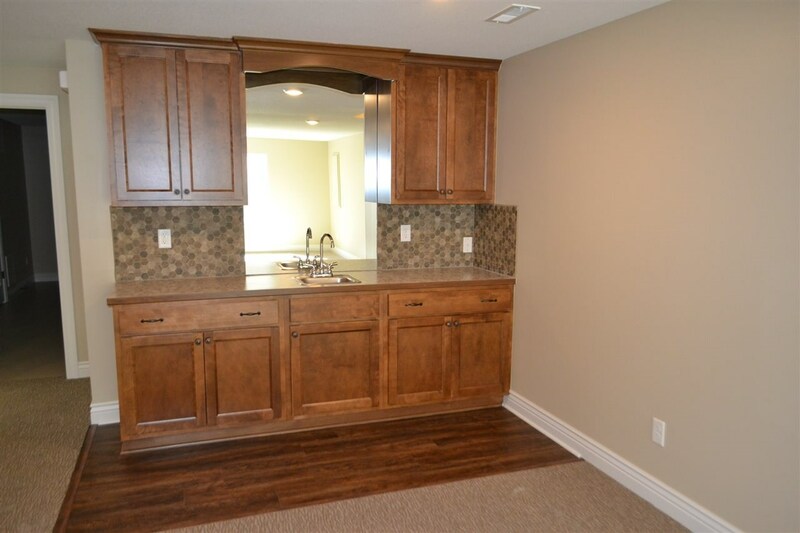 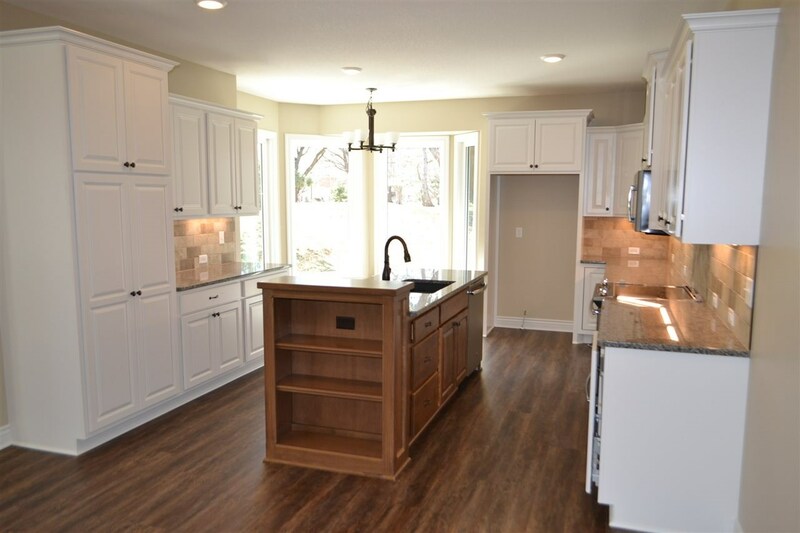 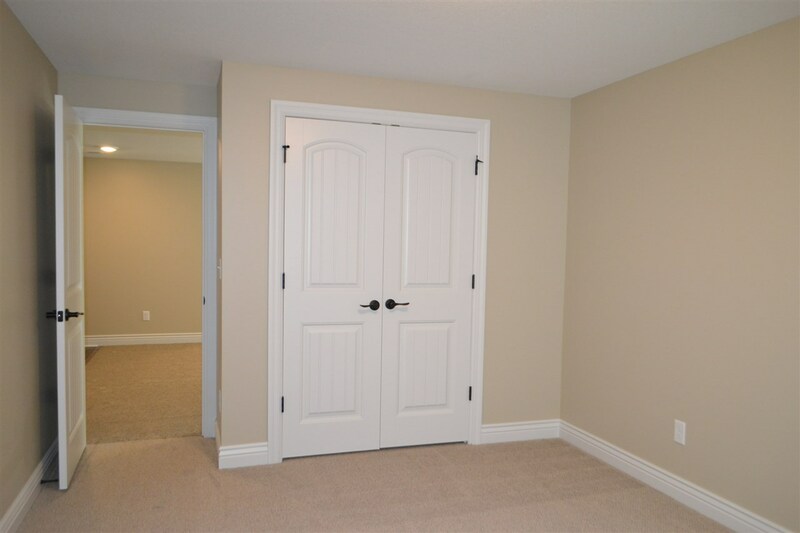 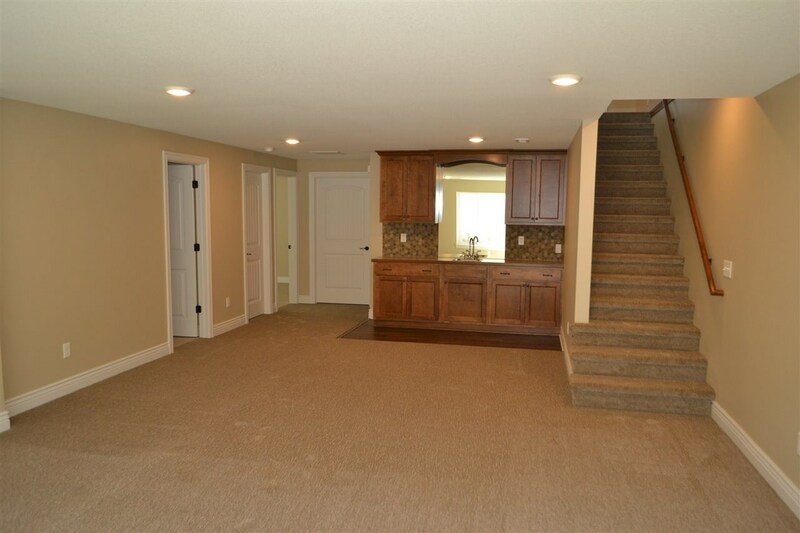 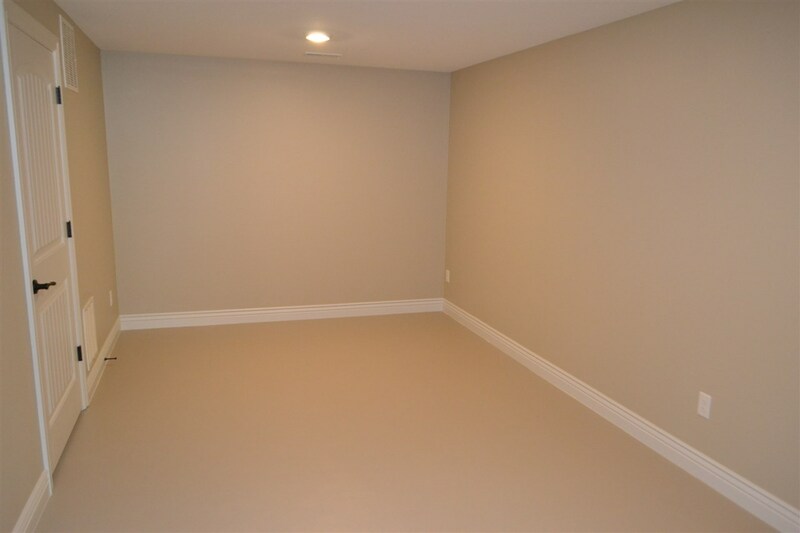 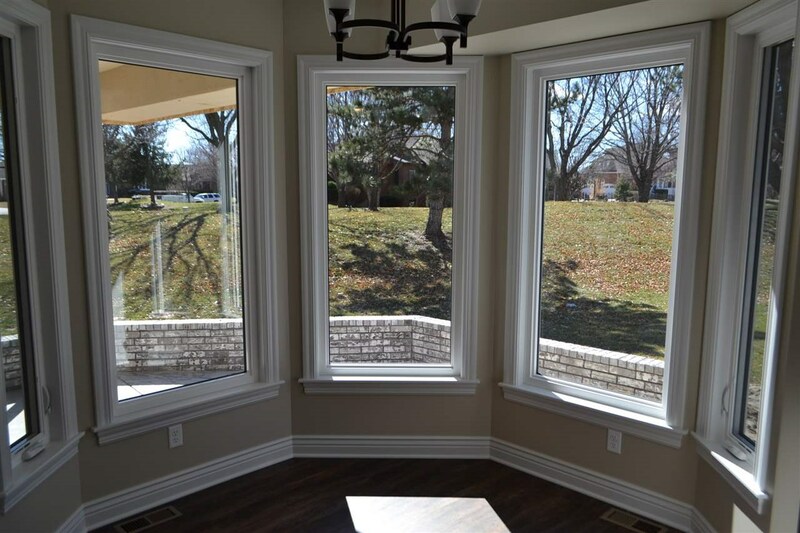 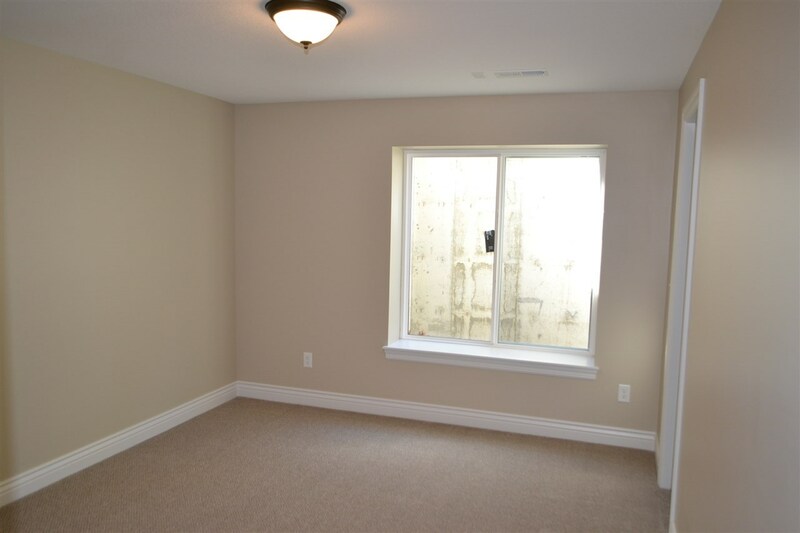 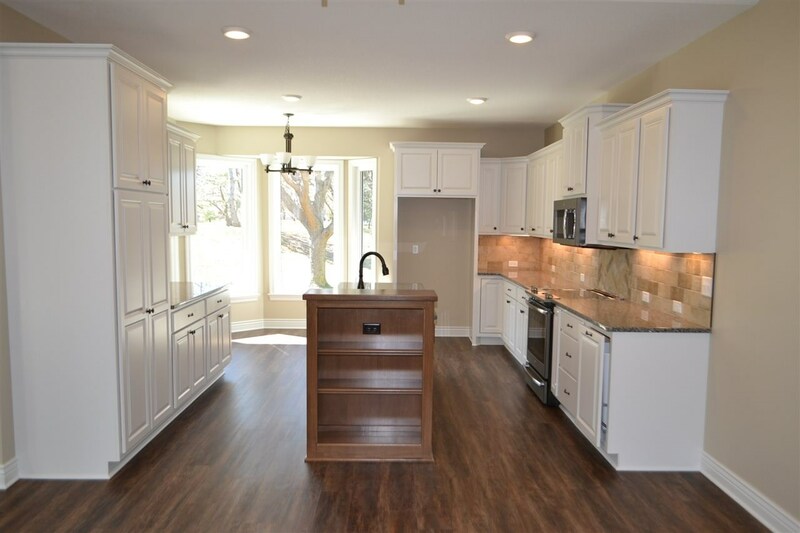 Finished basement with a large family room with an oversize daylight window and a great wet bar! 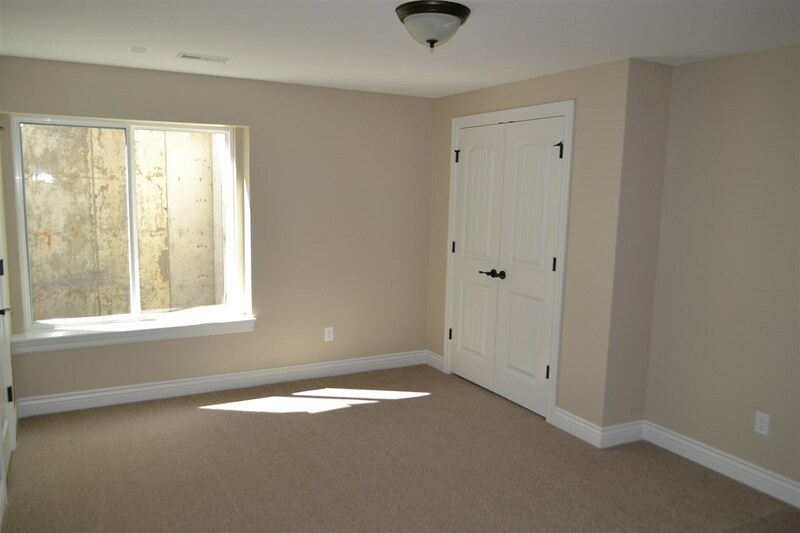 Also finished are two nice sized bedrooms with a Hollywood bath between them plus a hallway 1/2 guest bath and a super rec room/office! 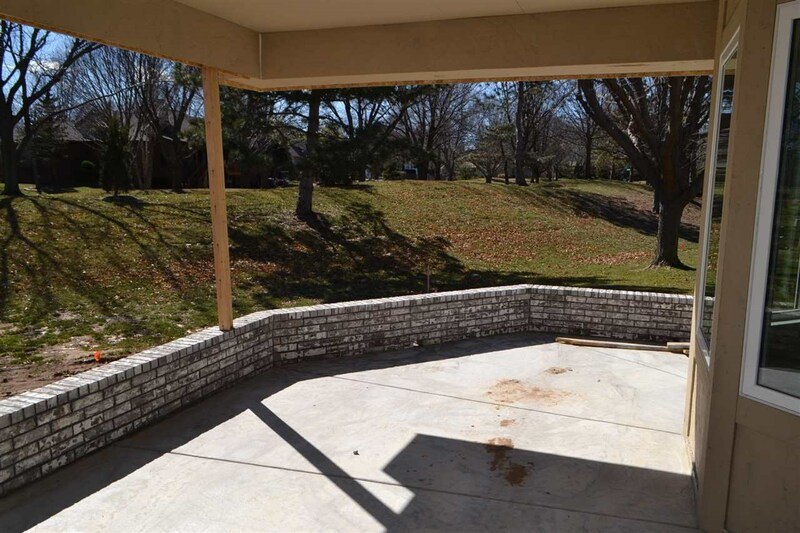 Super covered 14×16 covered patio! 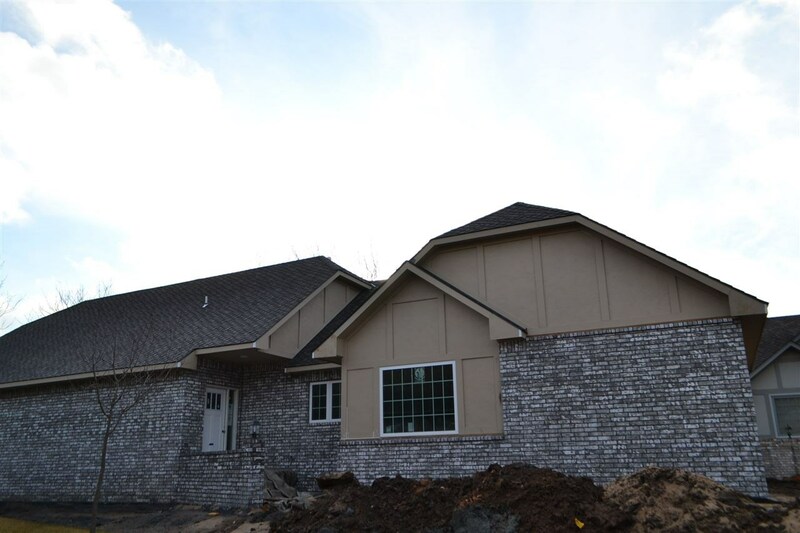 Exterior is all brick! 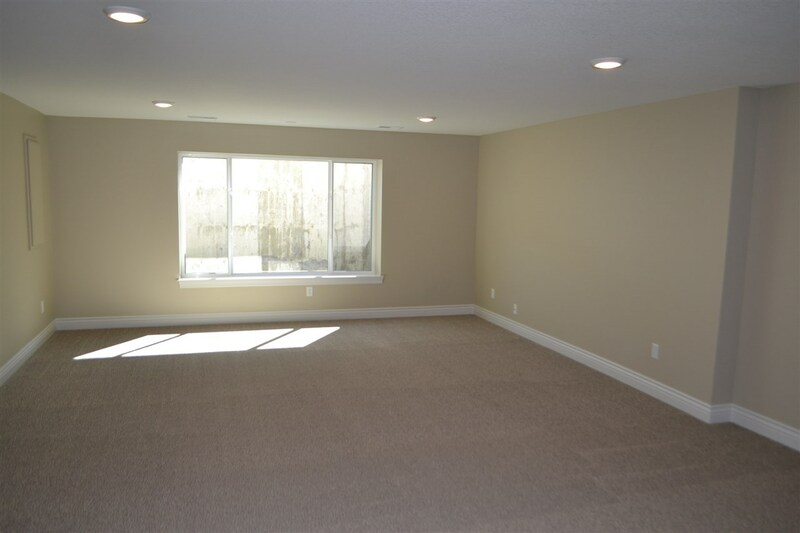 Large finished 24×26 garage with golf cart storage!